We not only live in the overflow of grace, we are now the flow of that grace into the lives of those around us. For it is by grace you have been saved, through faith — and this is not from yourselves, it is the gift of God — not by works, so that no one can boast. For we are God's handiwork, created in Christ Jesus to do good works, which God prepared in advance for us to do (Ephesians 2:8-10). I love waterfalls when they trickle down a gravel bed accompanied by the gurgle of water weaving its meandering path over mossy stones. I love waterfalls when they are massive moving monsters of raw power with all the crash and splash of a monstrous cascade of turbulent water falling off a high cliff into a seething churn of whitewater below. 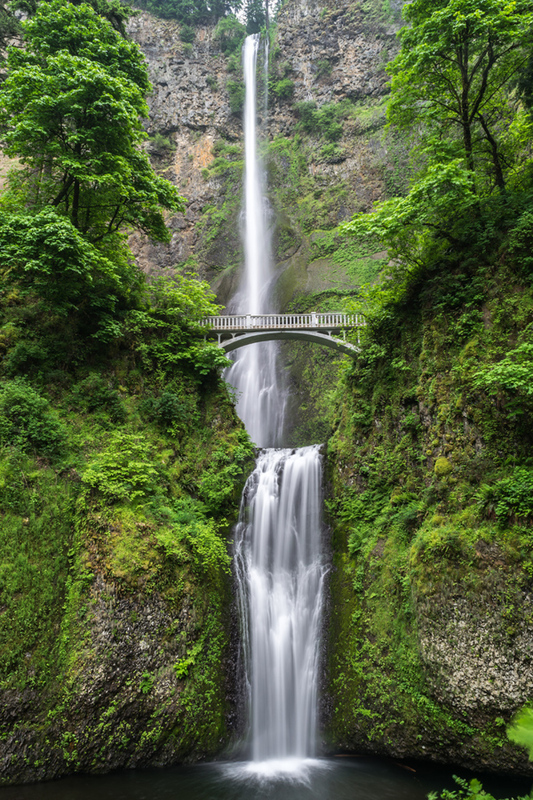 A waterfall provides a sensory overload of sights, sounds, and smells accompanied by the refreshing spray, mist, and cool that chases its movements. As magnificent as waterfalls can be, however, they are merely the places where water does what it is made to do: flow downhill while refreshing all things nearby with needed moisture as it carves a channel in the path of its flow. Waterfalls are not beautiful because water is asked to flow uphill. Water in a waterfall is not compelling because it reverses gravity or changes its essential properties. 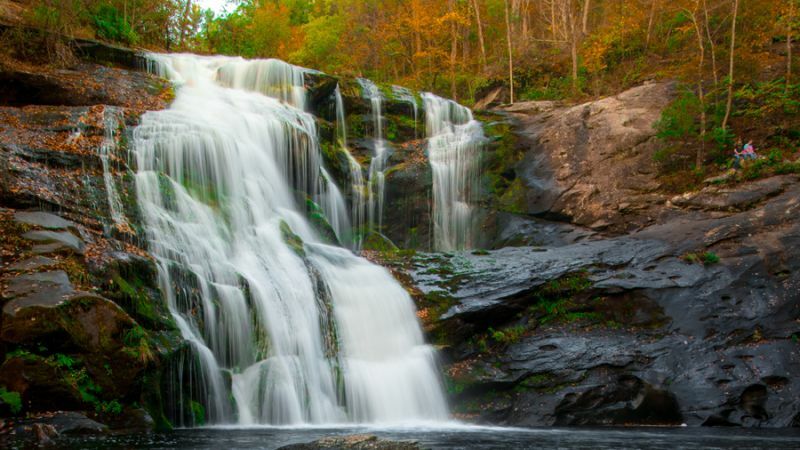 Waterfalls are not spectacular because water has somehow earned its right to flow, refresh, and carve its way through rock, dirt, and vegetation. No, waterfalls are amazing because water does what it is made to do! I love grace because it enables us to be who God has made, and re-made, us to be. We can do what we are created in Jesus to do by being who we are in Christ. We don't have to earn our way into God's favor. We don't have to prove our right to be our Father's daughters and sons. We don't have to make ourselves into something we are not or never can be. Grace is one thing separates Christianity from every other religion. We are given the gift of a new identity and value because of God's love demonstrated in Jesus. When we believe, we get to share in Jesus' demonstration of this love in his death, burial, and resurrection and are born into God's family. We don't earn this right. We don't achieve this new identity. God gives them as a gift. This gift is grace. We then live out of the overflow of that grace. We become the person God declares us to be as the Holy Spirit transforms us with the power of God's indwelling grace. Like water, we flow downhill while refreshing those nearby with needed grace while carving a new way of life as we go. Don't buy the cheapened version of modern Christianity that still leaves you responsible for earning your salvation with all of its doubts about your worthiness. Yes, a true disciple of Jesus leads a transformed life, yet that disciple doesn't live as a follower of Jesus to be acceptable to God but because God has already accepted him or her. Out of the overflow of this grace, we do what we are re-created in Christ to do. God gave her, God gave him, that new identity by grace. The Holy Spirit is Jesus' transformational presence to live into that new identity. That transformed person lives out of the overflow of grace. This new person does not live with the burden of trying to be good enough to be chosen for adoption by God. That's the point. Jesus chose to do what we could not do for ourselves, so that we can become what we are born, and are now re-born, to be. Out of the overflow of this grace, we do what we are re-created in Christ to do. 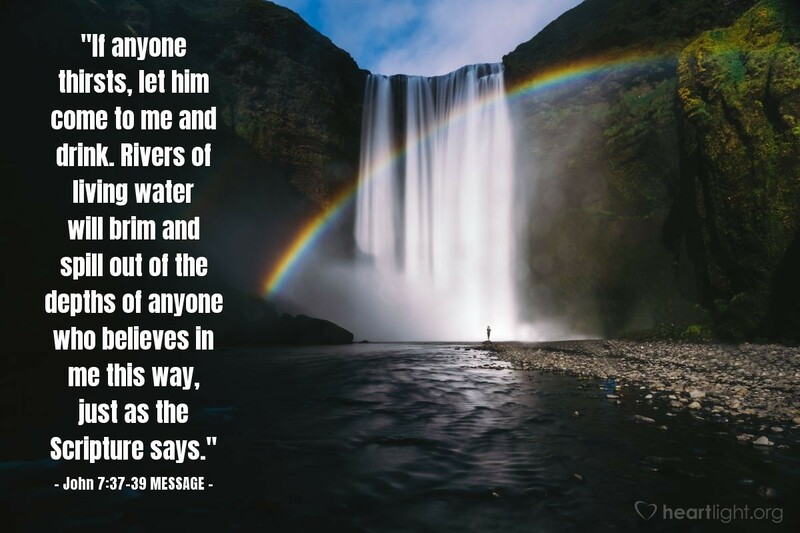 We flow toward him as we become like him. We splash his refreshing grace on those around us as we flow in his direction. We bless those we touch as we meander through the challenges of life, people God places around us, and the situations we find in our paths. We not only live in the overflow of grace, but we are also now a flow of grace into the lives of those around us. I love waterfalls. I love living in the flow of grace even more! [H]ow much more did God's grace and the gift that came by the grace of the one man, Jesus Christ, overflow to the many! (Romans 5:15). "The Overflow of Grace" by Phil Ware is licensed under a Creative Commons License. Heartlight encourages you to share this material with others in church bulletins, personal emails, and other non-commercial uses. Please see our Usage Guidelines for more information.